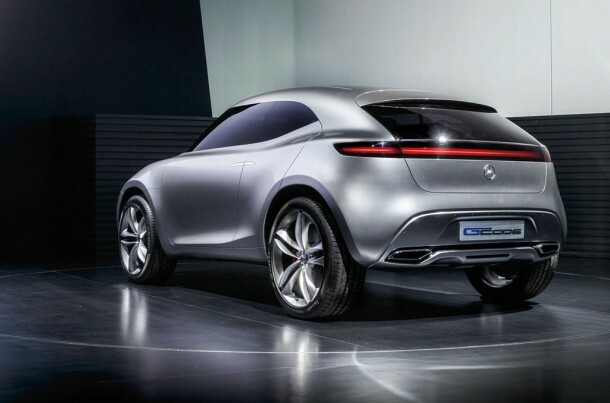 Say hello to the new Mercedes-Benz concept car which runs on hydrogen. You all must be wondering what is so special about a car that thrives on hydrogen. The answer lies in the fact that the paint job of this awesome car also harvests energy. The Vision G-Code SUV has a ‘multi-voltaic silver’ paint that is capable of harvesting wind and solar energy. Mercedes says that the multi-voltaic paint works similar to ‘a giant solar cell with excellent efficiency’ that recovers solar energy and then relays it into the car’s internal system. Apart from this awesome approach, it can also charge itself electrostatically by using the relativity of the wind during times when the car is driven or when wind blows onto the stationary car. The G-Code also has a ‘Power on the Move’ suspension that is capable of recovering energy from the suspension’s motion in order to generate electricity. The G-Code comes with 3 driving modes termed as maximum efficiency, maximum driving comfort and sports performance. Based on the mode selected, the car can be driven by rear wheels in a variable all-wheel setup. This is made possible by the digital prop shaft (Mercedes’ own), located between the front and rear axles. It has LED headlights and an LED strip at the rear and is composed of indicators, brake lights and taillights. The grille, based on the car’s mode, is illuminated with colored lights. As for the interior, the steering wheel is foldable and the pedals are retractable. The steering wheel is activated via a smartphone app and the HUD displays information. The car has a number of monitoring systems; 3D cameras, radar, infrared scanner and GPS. The seats of the car are capable of monitoring its users’ health. They are also equipped with a massage function along with built-in cooling and heating systems. Passengers enjoy an air conditioning system that cleans the air upon entry. In the luggage compartment, two electric scooters are placed for commuting, once the car has been parked. 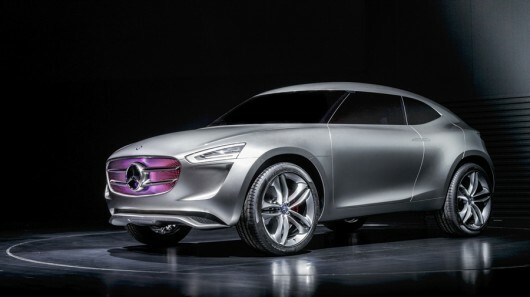 The G-Code was shown off at the Mercedes Product Engineering Center opening in Beijing.